After you dig into these meaty beer reads, head to the Arcade [130 Westminster St, Providence] today [2.27] at 5 pm for the I Am Providence Launch Party. 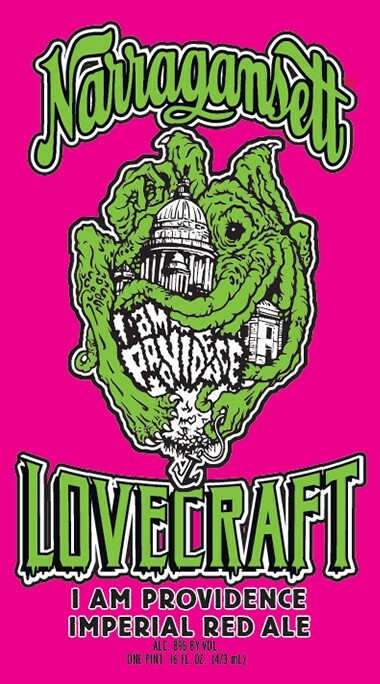 Celebrate the fourth release in Narragansett Beer’s Lovecraft series with the crew from Ship Street plus their pals at Rogue Island Bar and Kitchen, New Harvest Coffee and Spirits, and Lovecraft Arts and Sciences. You can sample the new imperial red ale [8% ABV] and take in “weird fiction, movies, [and] amazing food [including free passed appetizers from Rogue Island].” Say hello to Cthulhu for us! Wondering what’s on tap this weekend? Wonder no longer! You’re welcome!! • At Foolproof [Friday 5-7 pm, Saturday 1-5]: check out their expanded tasting room, featuring the debut of Queen of the Yahd, a new raspberry IPA [5.2% ABV; four-packs of 16-ounce cans will ship in a month or so], plus Shuckolate, Revery, Peanut Butter Raincloud, Backyahd, Barstool, La Ferme Urbaine, Raincloud, and King of the Yahd — and a special cask of Backyahd brewed with Mosaic and Citra hops — and Fruity Pebbles [we’re hoping Raincloud with Count Chocula is up next]. • At Bucket Brewery [Friday 1-7:30 pm, Saturday 11 am-5 pm]: Black Goat o’ the Woods [spiced milk stout], 33rd Inning Red Rye Lager, Pawtucket Pail Ale, Park Loop Porter, and Fireside Harvest Ale, and BOG Cranberry Orange Saison [plus some tests and prototypes and IPA left from last weekend’s IPA Day]. And on February [2.27], Bucket will host Roadhouse: The Musical [based on the beloved 1989 Patrick Swayze film]. Doors at 8, show at 9, tix are $20 [includes four drink tix and a souvenir pint glass]. • At Proclamation Ale Company [Thursday 3:30-7 pm, Friday 3:30-8, Saturday 12-7, Sunday 12-5] for tastings and growlers: The Stalk [double IPA made with Citra, Mosaic, and Amarillo hops], Derivative: Galaxy, Derivative: Mosaic — and a new batch of Broze [oatmeal milk stout]. • At Long Live Beerworks [Wednesday-Friday 4-9 pm, Saturday 1-8]: ’Nuff Said IPA and ’Nuff Said 2 [with a different hop profile], Milk Milk Stout, and Heck Hound [smoky red ale]. Plus on Firkin Friday [2.26], Cousin Vinnie [Black Cat pale ale dry-hopped with Vinnie Special hops; tastings only]. • At Tilted Barn [Saturday 1-4 pm]: growlers/tastings of Libby, their new American Blonde Ale [with Citra], the Chosen One [double IPA], Second Harvest [pale ale], and Winter Sol [a winter ale “somewhere between a brown ale and a porter”]. • At Newport Storm [Thursday-Saturday 12-6 pm, Sunday, Monday, and Wednesday, 12-5]: Spring Irish Red Ale, Hurricane Amber Ale, India Point Ale, and Rhode Island Blueberry, plus Annual Release [samples only]. • At Ravenous [Saturday 1-4 pm]: Blackstone Pale Ale, Bienvenu French Quarter Red, Chocolate Milk Stout, and Coffee Milk Stout. • Seek and find for theeself re: Grey Sail and Whaler’s. Proclamation Ale Company’s Derivative = #14! With more than 4,100 small and independent craft brewers operating in the country, there are more options than ever to enjoy great beer. To help beer lovers navigate their way to the best places they can take advantage of this phenomenon, CraftBeer.com, the Brewers Association website for beer lovers — recently polled readers for its annual Great American Beer Bars competition. New this year, a winner has been named in all 50 states and Washington D.C. Methodology: CraftBeer.com readers were asked to nominate their favorite craft beer bar in their state and fill out a short survey about what makes it so great including atmosphere, staff, beer selection and special events. Craft beer fans cast over 9,000 votes in total from August to December 2015. 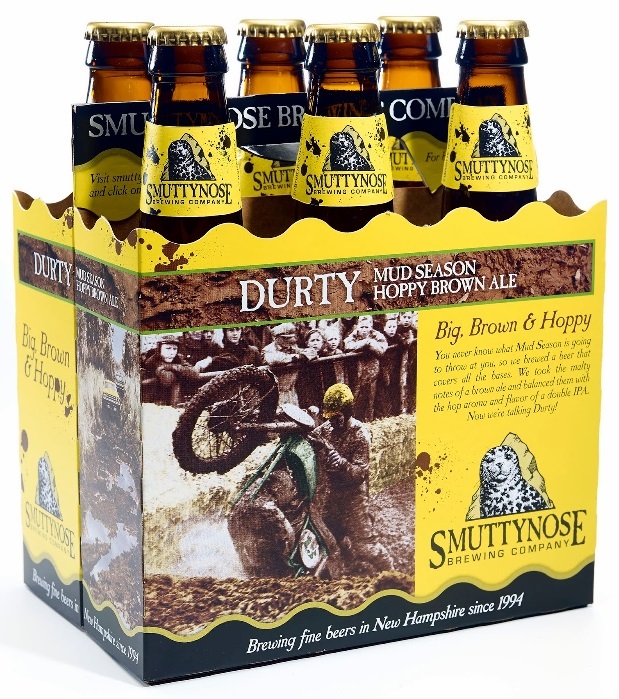 • And we’ve been meaning to enthuse about the third annual batch of Smuttynose’s Durty Mud Season Hoppy Brown Ale. The potent [8.4%] brew does justice to both elements in its name — a massive hop presence blends beautifully with rich caramel/chocolate malts. It’s a bold and splendiferous flavor bomb. Go get it!! Need an excuse to drink beer today? Of course you do! Here ya go: it’s Drink It Now Day. 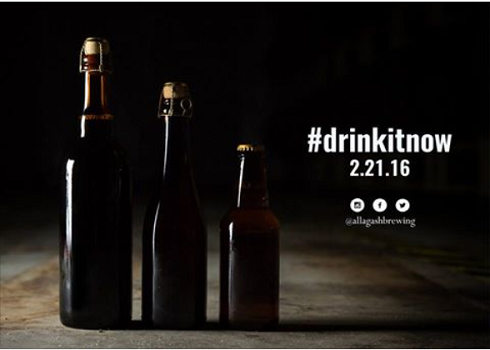 The folks at Allagash Brewing Company [along with Sierra Nevada, Boulevard, New Belgium, and others] “are inviting the beer community to #DrinkItNow. a beer that means something to you and join us on Sunday, February 21 — share your experience with the #DrinkItNow hashtag. No cellar? No problem! Every beer is invited.” It also provides a great excuse to post photos of alla your whales and uber-rarities [oh wait, that happens every day; never mind]. Here are some worthy beer reads to peruse while you #DrinkItNow. • ICYMI, here’s our piece in the latest Motif: Pow! RI-based beer company fights the good fight. • At Bucket Brewery: On Friday [1-7:30 pm]: Black Goat o’ the Woods [spiced milk stout], 33rd Inning Red Rye Lager, Pawtucket Pail Ale, Park Loop Porter, and Fireside Harvest Ale [plus BOG and/or “assorted prototypes/experiments”]. 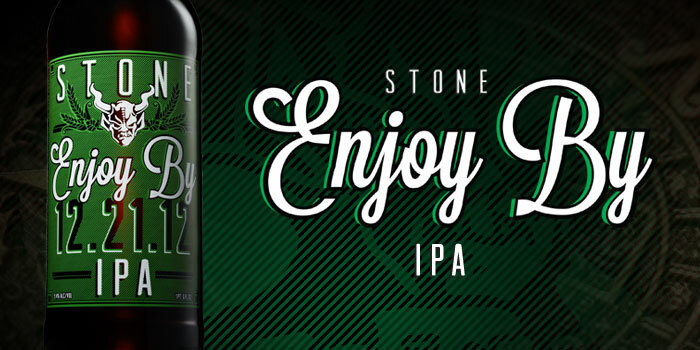 On Saturday [11 am-5 pm]: it’s IPA Day. Nate says: “All of the taps will be a different IPA, some of which will be candidates for moving to full production based on guest voting.” Also pouring: the return of 9 Men’s Misery. And: “We’ll pour our usual beers from cans and bottles by request if anyone does not want IPA. All of the IPAs are very small batches, so they will be served as long as they last.” Andand: On February 27, Bucket will host Roadhouse: The Musical [based on the beloved 1989 Patrick Swayze film]. Doors at 8, show at 9, tix are $20 [includes four drink tix and a souvenir pint glass]. • At Proclamation Ale Company [Thursday 3:30-7 pm, Friday 3:30-8, Saturday 12-7, Sunday 12-5] for tastings and growlers: The Stalk [double IPA made with Citra, Mosaic, and Amarillo hops], Derivative: Galaxy, Derivative: Mosaic [also available in super-fresh-bottled-on-Thursday bombers] — and a new batch of Broze [oatmeal milk stout]. • At Foolproof [Friday 5-7 pm, Saturday 1-5] : check out their expanded tasting room, featuring Shuckolate, Revery, Peanut Butter Raincloud, Backyahd, Barstool, La Ferme Urbaine, Raincloud, and King of the Yahd — and a special cask of Revery with Mexican chocolate and chipotle peppers [on deck: a pin of Backyahd with Fruity Pebbles, made with Mosaic and Citra]. • At Long Live Beerworks [Wednesday-Friday 4-9 pm, Saturday 1-8]: ’Nuff Said IPA, Milk Milk Stout, Heck Hound [smoky red ale], and ’Nuff Said 2 [with a different hop profile]. Plus on Firkin Friday [2.19], Oak Oak [Milk Milk aged on bourbon-soaked oak]. • Head to Wakefield to check out Whaler’s Brewing’s renovated digs [Thursday + Friday 4-8 pm, Saturday 1-7, Sunday 1-5]; head to their Facebook page to see what‘s on tap. • At Newport Storm [Thursday-Saturday 12-6 pm, Sunday, Monday, and Wednesday, 12-5]: Spring Irish Red Ale, Hurricane Amber Ale, India Point Ale, and Rhode Island Blueberry, plus Annual Release. Plus, Newport Storm will team up with Narragansett Creamery for beer-and-cheese pairing sessions [five of each] on Saturday [2.20] at 6:30 pm and Sunday [2.21] at 5:30 [$15, $12 with a Newport Winter Festival bracelet; click here for tix]. • Seek and find for theeself re: Grey Sail and Ravenous. 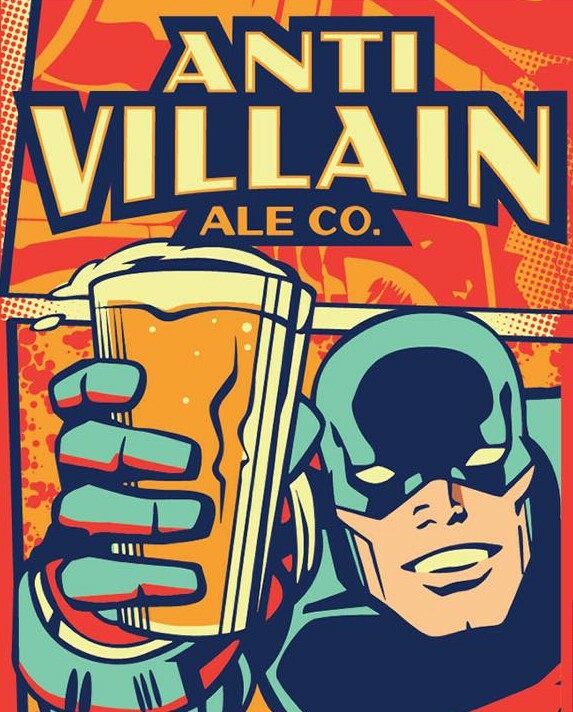 February 17, 2016 February 17, 2016 Lou Papineau Beer Fun, Beer News	Anti-Villain Ale Co.
Click here to read the Q&A with Domenic! There are six launch parties happening this week, kicking off tonight [2.15] at Harry’s On the Hill [301 Atwells Ave, Providence, 6-8 pm]; on Tuesday [2.16] at Pizza J [967 Westminster St, Providence, 6-8] and the Malted Barley [42 High St, Westerly, 7-9]; on Wednesday [2.17] at Mews Tavern [456 Main St, Wakefield, 6-8]; on Thursday [2.18] at the English Cellar Alehouse [165 Angell St, Providence, 7-9]; and Friday [2.19] at Tavern On Broadway [16 Broadway, Newport, 6-8]. Enjoy! • Psst: There’s still time to enter the BIG ticket giveaway for the Craft Beer Pavilion at the Boston Globe Travel Show on Saturday [2.20 @ noon].